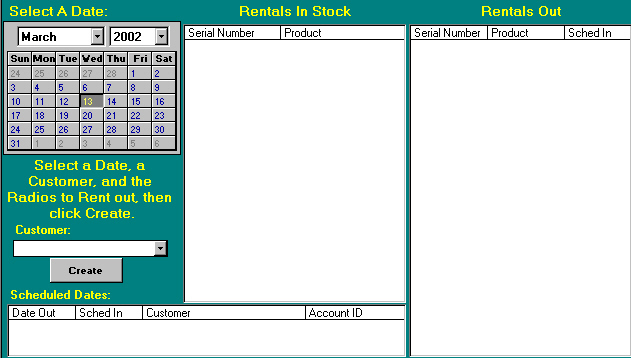 The RENTALS module allows you to assign radios to a customer for a rental period. A job ticket may be assigned for the rental first. The opening screen shows rentals available, rentals that are currently out and their scheduled return date. The Scheduled Dates section shows the dates for future rentals.